The North American Free Trade Agreement (NAFTA) has been a growth engine for many American small businesses. There is no doubt, however, that the trade agreement required an update. One of those key areas is intellectual property (IP). 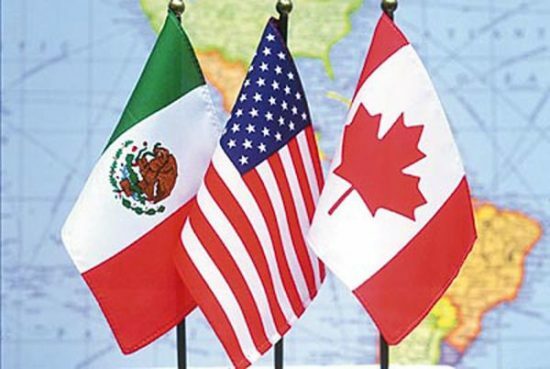 The recently unveiled United States-Mexico-Canada Agreement (USMCA), the “new NAFTA,” has strengthened IP protection, which is critically important to entrepreneurs and small businesses. One of SBE Council’s core issue priorities is strengthening IP protections, both at home and abroad. The Trump Administration has focused heavily on protecting American IP, and those efforts are reflected in the USMCA. This is very positive, as inadequate IP protections and enforcement are a deterrent and barrier for small businesses that wish to expand into international markets. Trade agreements that protect IP provide certainty and recourse if theft occurs. NAFTA fell short in many areas with regard to IP rights and protections. Measured against international standards and benchmarks, the U.S. Chamber’s Global Innovation Policy Center (GIPC) found that NAFTA scored well below half (48.3 percent) on their Index score that measures 21st century IP protections. Some of these gaps can be attributed to advances in technology and other changes in the marketplace since NAFTA’s adoption more than 25 years ago, but others relate to poorly designed or weak IP rules from the start. The USMCA (Chapter 20) contains provisions on copyright, trademarks, patents, industrial designs, trade secrets, border enforcement and digital trade. While the USMCA provides a boost to IP owners in general, two areas are seen as big wins by the industries and creators affected by them: data protection for pharmaceutical companies has been extended from 8 years to 10 years for biologics, and the term of copyright is extended by 20 years to the author’s life plus 70 years. These are solid extensions for U.S. entrepreneurs and businesses. ● Patent terms can be adjusted for unreasonable delays that may occur at the patent office in issuing a patent. ● Border authority is increased, giving customs officials the latitude to “initiate border measures” regarding suspected counterfeit or pirated goods. Once customs determine that goods are infringing, they will be permitted to inspect, detain and destroy the goods. As pointed out in SBE Council’s book Unleashing Small Business Through IP: The Role of IP in Driving Entrepreneurship, Innovation and Investment, every IP-intensive sector of our economy is dominated by small businesses. Therefore, protecting IP is critical to the growth of these small firms, as well as their ability to raise capital and compete. For example, the biopharmaceutical industry is one of these sectors dominated by innovative small firms. Among pharmaceutical and medicine manufacturing firms, 57 percent have less than 20 workers, 79 percent less than 100 employees, and 91 percent less than 500 workers. IP matters to these small entrepreneurial businesses. In fact, at every stage of their growth and maturation, these firms depend on a system that protects their IP. Countries that work to strengthen IP help to strengthen the entrepreneurial sector within their borders. In turn, more quality jobs are created and economic dynamism is fueled for sustainable growth. If nations are committed to investment, innovation and entrepreneurship they must commit to the protection of IP. Trade agreements and domestic frameworks that protect IP are beneficial for all, and the USMCA establishes a solid model that will help to move entrepreneurship and small business growth forward. NAFTA Modernization: A Trilateral Agreement is More Efficient and Friendly for Small Businesses, Media Release and Infographic, September 19, 2018. Read here. 2018 Policy Agenda for Entrepreneurs and Small Businesses: Growth via Global Trade and Strengthening IP (SBE Council’s 2018 Agenda). Read here. Entrepreneurs Celebrate World IP Day: Strong IP Frameworks are Critical to Startups and Small Business Growth, April 2018. Read here. Comments and Testimony to USTR on Modernizing NAFTA, June 2017. Read here. Global Trade Month: Key Small Business Resources, May 2018. Read here.